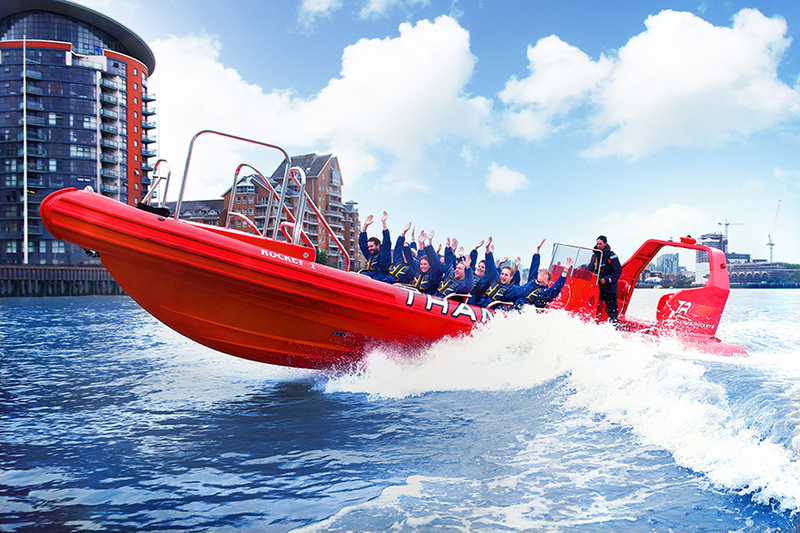 I previously tried the Thames Rockets ‘Break the Barrier’ trip on a cold November day yet it was so good I knew I wanted to book again. 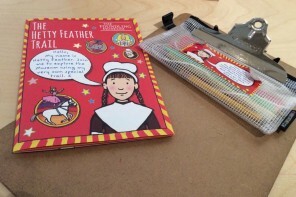 And since then I also knew I wanted to bring along my 11 year old daughter as it felt very safe and was so much fun. This time I remembered to book a trip in the summer and we were fortunate as the sun was shining. 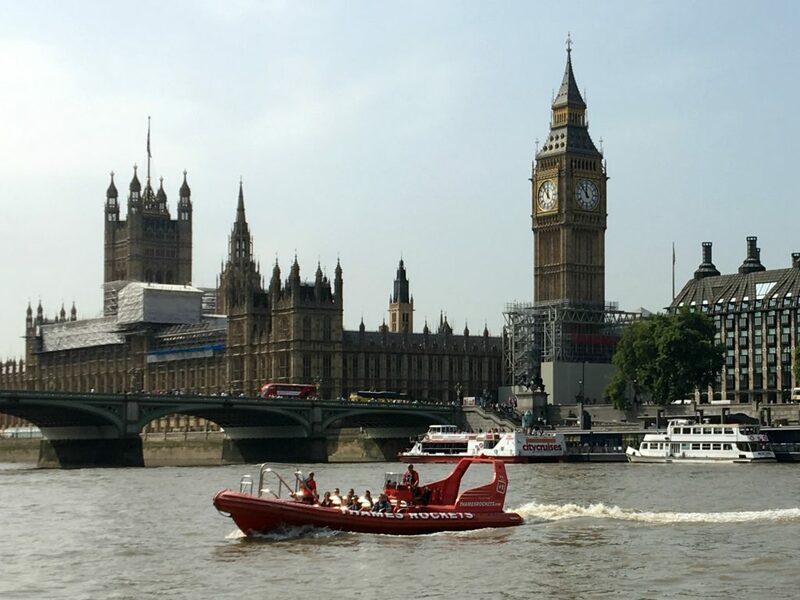 Thames Rockets started in 2006 and were the first ever speedboat tour operator in London. 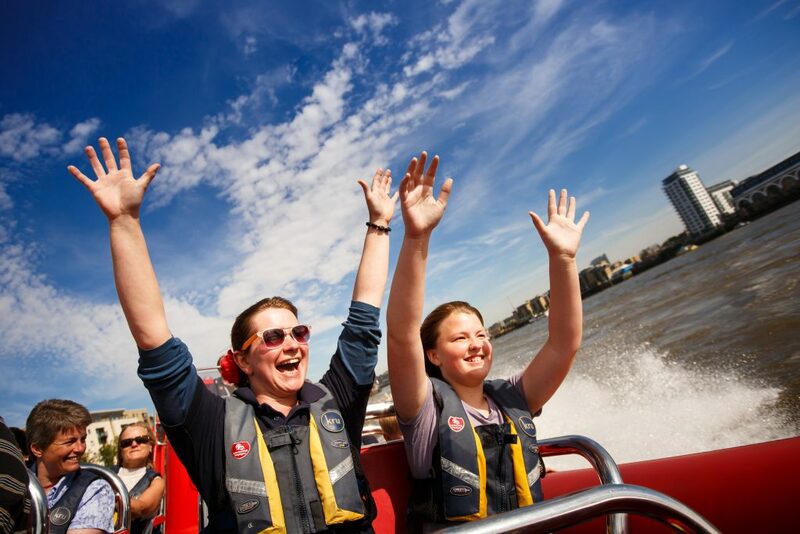 Thames Rockets is consistently ranked number 1 of Outdoor Attractions in London on TripAdvisor. 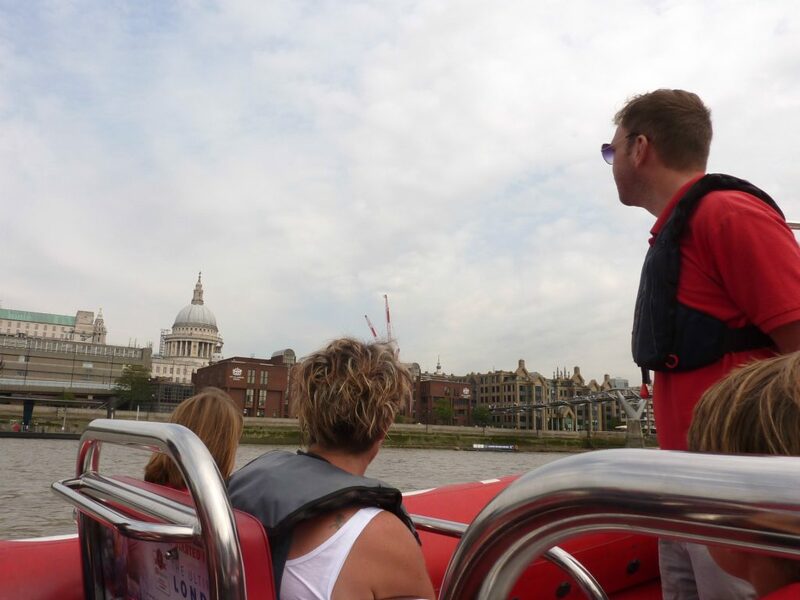 Thames Rockets have a trip exclusively for families and those trying a speedboat trip for the first time. 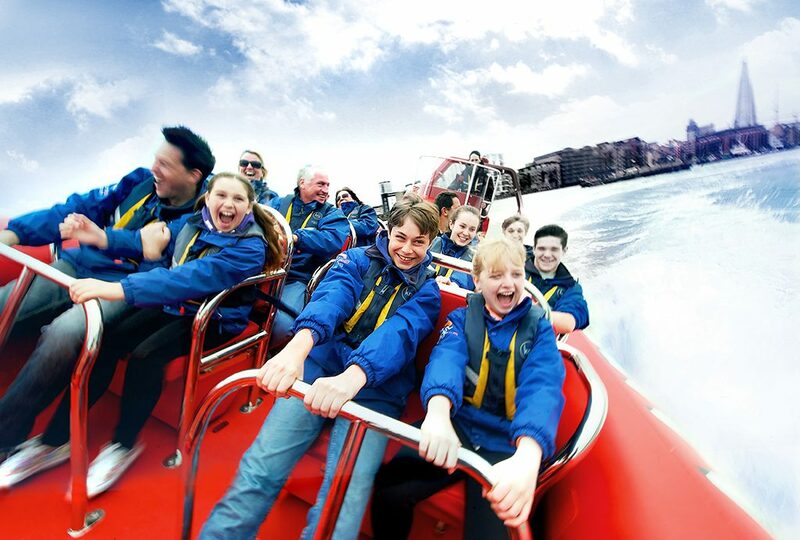 Captain Kidd’s Canary Wharf Voyage is a 50 minute blast from London Eye Pier to Canary Wharf and back. 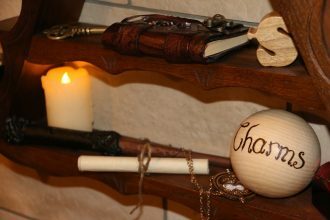 I tried this with the 11 year old, along with other families with a sense of adventure. As before, it feels really safe as you get kitted out in life jackets at Boarding Gate 1 at London Eye Pier. The Pier staff are really good with kids and no-one looked stressed before boarding. The children’s automatic lifejackets have an additional under-passage strap to secure every fitting. Similar to the adult lifejackets, each is rigged to inflate automatically in water with a back-up manual inflation toggle handily placed, should it be needed. Lights and whistles are installed as standard. For toddlers, there are lightweight, comfortable buoyancy aids which are designed to fit snugly around the cuddliest of toddlers. Babies are welcome too as there are baby life cradles which completely surround the babies clothing and sit on a parent’s lap. Buggies can be carried (when folded) or left at the Boarding Gate with staff. Our Skipper was Nick and they made a great team. 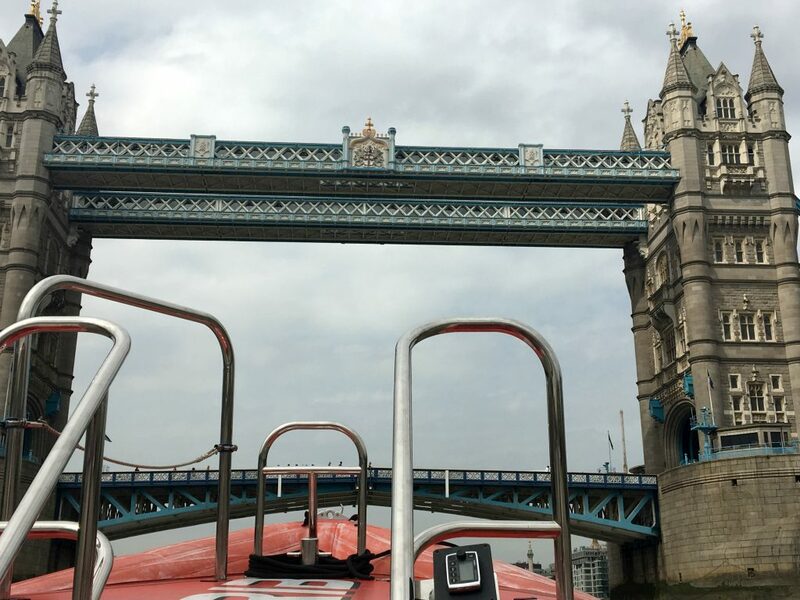 The trip starts out quite sedately as you take in the sights along the river in central London. You’ll pass the Houses of Parliament, St Paul’s Cathedral, Tate Modern, Shakespeare’s Globe, The Shard, HMS Belfast and more. We learned that the flag on the Victoria Tower of the House of Parliament is the size of a tennis court. And we were reminded that the London Eye is not a ‘ferris wheel’ but is a ‘cantilevered observation platform’. The 7 metre difference between high and low tide was pointed out as it was low tide and, therefore, we could see the high tide mark on the riverside walls. 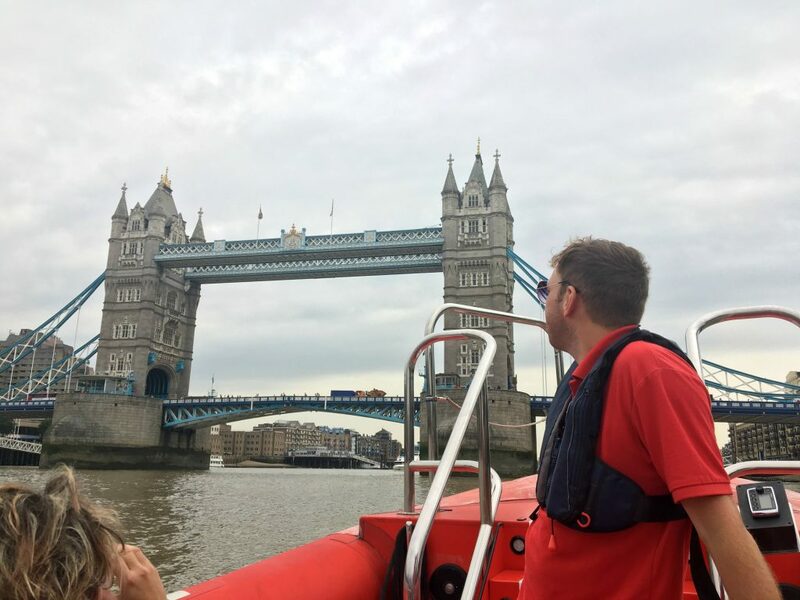 Matt told us that after Blackfriars Bridge you are now officially ‘at sea’. And that in 40-60 years time the Thames Barrier will no longer protect us from rising waters. He encouraged the kids on-board to study environmental science or engineering to solve that one in the future. You get a glimpse of The Monument which gave our Guide a good link to talk about the Great Fire of London. As well as learning new facts, he kept the jokes coming as he told us the Bankside Pizza Express was popular with Shakespeare. 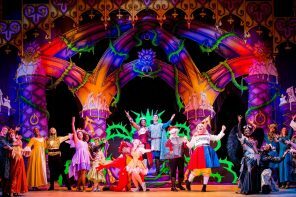 Apparently he liked it so much he named a play after one of the salads – the Caesar salad! Once you’re going super fast, the on-board Guide stops pointing out the sights (although you can check out in advance what you’ll see) and the music goes on. 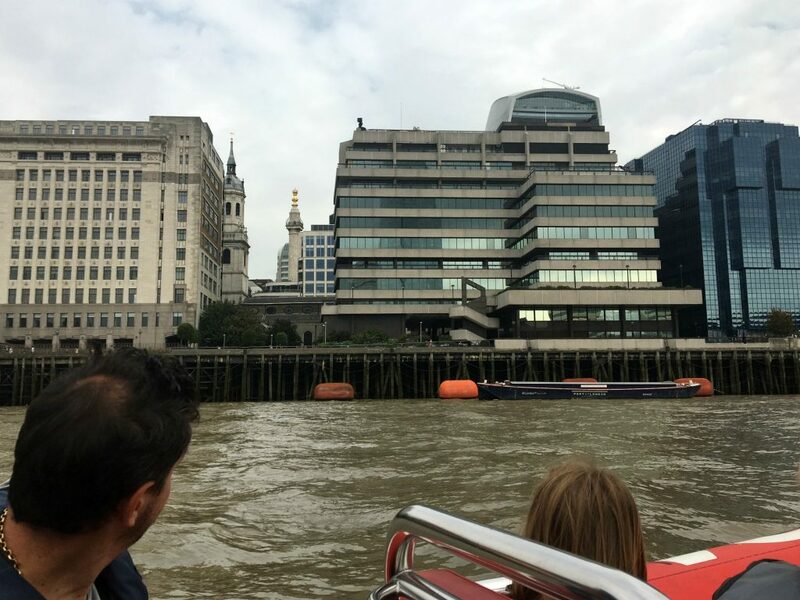 The tunes blare out while the boat can take some impressive twists and turns across the wider section of The Thames down to Canary Wharf and back. The classic feel-good music stays on until you’re back to at the London Eye Pier, although the speed drops back down from Tower Bridge onwards. What’s great about trying these things with younger people is that they tend not to have the inhibitions we gain once older. 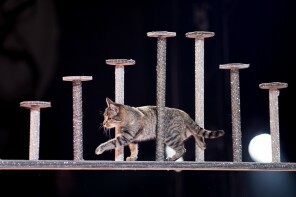 So, when you hear the whoops, cheers and happy screams it’s fun to join in. I tried to take a video for you but I think the wind noise is the best indicator to how fast we were going! 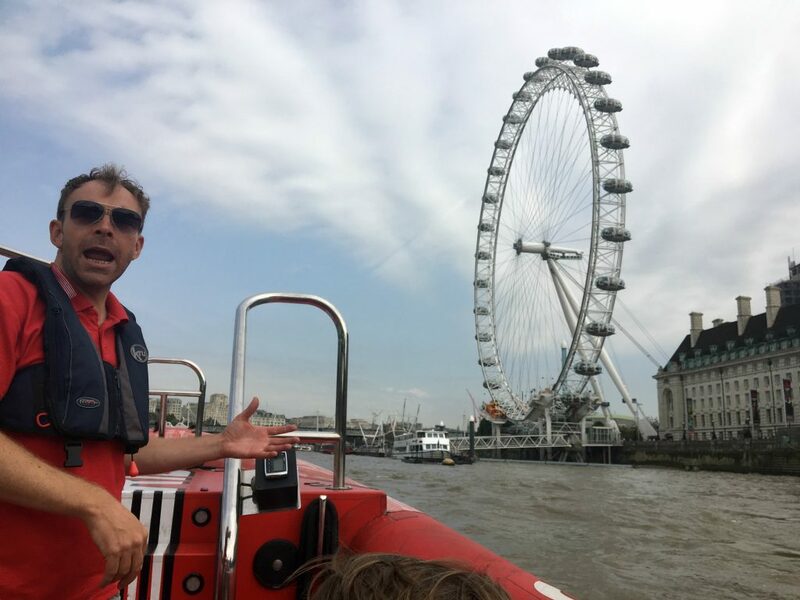 As I think my City Cruises review has proven, some sightseeing cruises are better than others. 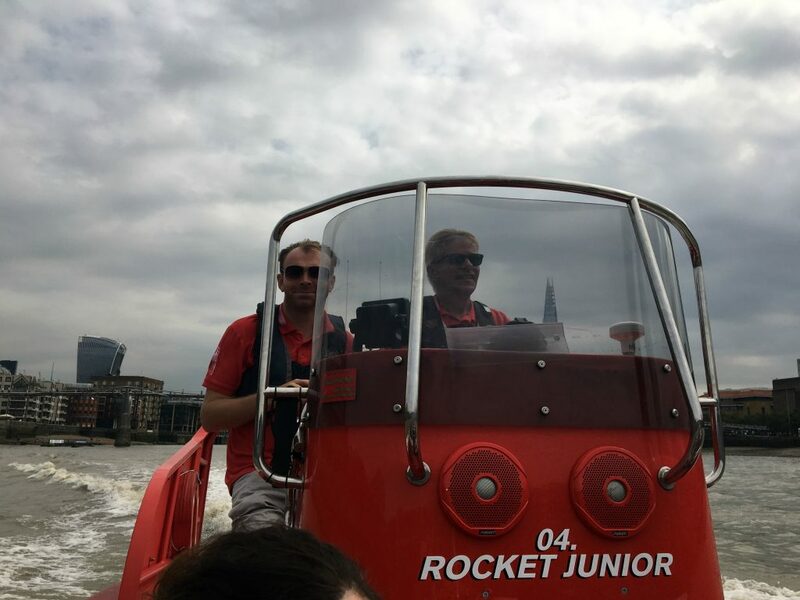 On Thames Rockets, the Guides have good London knowledge and make every journey fun. 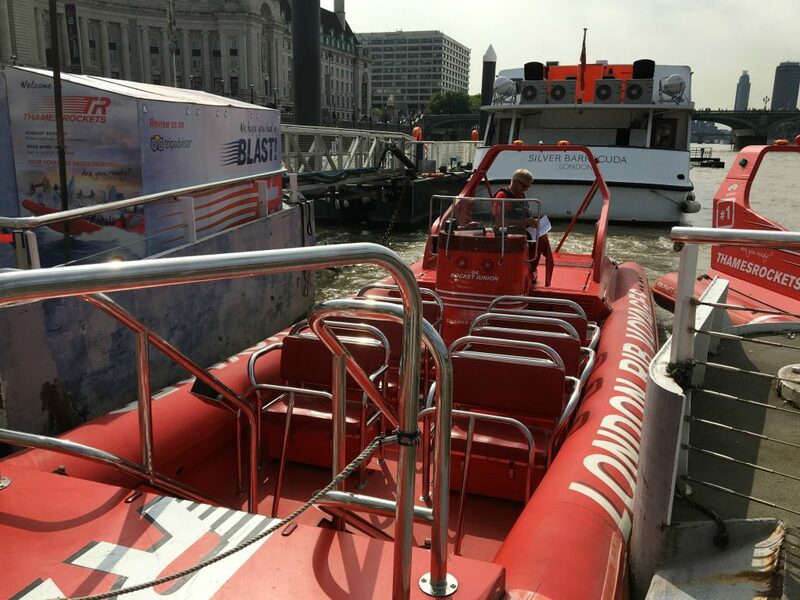 This is a well organised, professional and fantastic way to see London from the water. You’ll leave adrenaline-fuelled and ready to achieve anything. And it’s a real feel-good thing to do. Totally recommended!